With Ivy Bridge, Southern Islands and Kepler on the loose, it's a great time to upgrade. 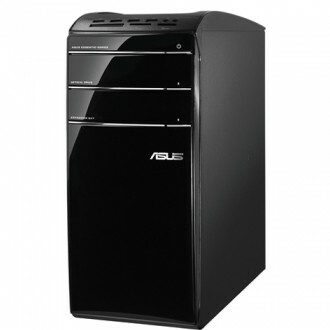 Recognizing that fact, Asus has unveiled new enthusiast-grade desktops, the CM6870, CG8270 and CG8580. The first machine is lower specced than the latter two, though it should still hold its own in lightweight games. The CM6870 is offered with a third-generation Core i3, i5 or i7 processor, various Nvidia and AMD graphics cards (top options are the GT 640 and HD 7470), up to 16GB of DDR3 1600MHz RAM, up to 4TB of storage (there are SATA 6Gb/s ports in case you want an SSD), a Blu-ray drive and a 350W PSU. In the mid-range, Asus' CG8270 comes with your choice of an Ivy Bridge-based Core i5 or i7, an Nvidia GPU ranging from the GT 620 to the GTX 560 Ti, as well as the same memory and storage mentioned above. It also has a beefier 500W PSU and a larger, sleeker chassis with a brushed aluminum façade. The CG8580 only offers Core i7 processors and has three graphics configurations: one GTX 560 Ti, two GTX 560 Tis or one GTX 680. It also has Xonar DX audio, dual 128GB SSDs, three PCIe x16 slots (no word on bandwidth), four SATA 6Gb/s ports, a 700W PSU and a "stealth submarine"-inspired case. Connectivity is largely equal across the systems. The CM6870 has a 16-in-1 card reader, six USB 2.0 and four USB 3.0 ports between the front and back, VGA, DVI-D and HDMI ports, as well as 7.1-channel audio. The CG8270 adds legacy PS/2, while the CG8580 gets two more USB 3.0 ports and S/PDIF-out. There are various other differences between the packages, too. The CM6870 doesn't seem to ship with peripherals, the CG8580 looks to have a basic keyboard and mouse combo, while the CG8580 touts an ROG-branded mechanical keyboard (Cherry MX Black switches) and a 4000DPI gaming mouse. The machines also ship with various Asus features, such as Smart Cooling System, which supposedly reduces temps by up to 11.4%, Instant On, AI-Charger, WebStorage, Music Maker, AI Suite II and so on. Availability and pricing are unknown, but we imagine the higher-end units won't be cheap.